Our Supporter Members are businesses who are fully behind the ethos of Buy Local Norfolk and able to offer our members their help and support. Below is a list of our fantastic Supporter Members with a bit of information about their organisation. Broadland Council Training, delivered by Broadland District Council, has proudly become the first official supporter of Buy Local Norfolk. 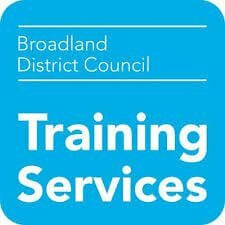 Broadland District Council has been a trusted training provider for more than 15 years. We pride ourselves on offering high quality training at affordable prices to help local businesses develop and succeed. Our courses are delivered by a range of carefully selected tutors who are experts in their own field. Training takes place at Carrowreck House, just off the Drayton High Road, just minutes from Norwich’s outer ring road. We are delighted to be able to offer a discount to Buy Local members wishing to attend any of our courses. As a member, you are entitled to £5 off any half-day, and £10 off any full-day training course. This offer can be used as many times as you book. There are 50 different courses available ranging from Health & Safety to Public Speaking, Microsoft Excel to WordPress workshops or Cloud Accounting to Customer Service. To view our e-brochure, please click on the link below. If you have questions about or training or would like further information, please call 01603 788950 or email carrowbreck@broadland.gov.uk. Discounted prices don’t apply on our website, but please speak to one of our team if you wish to book. Subsidised price is available for businesses within the Broadland area with less than 10 employees, or for Broadland residents.